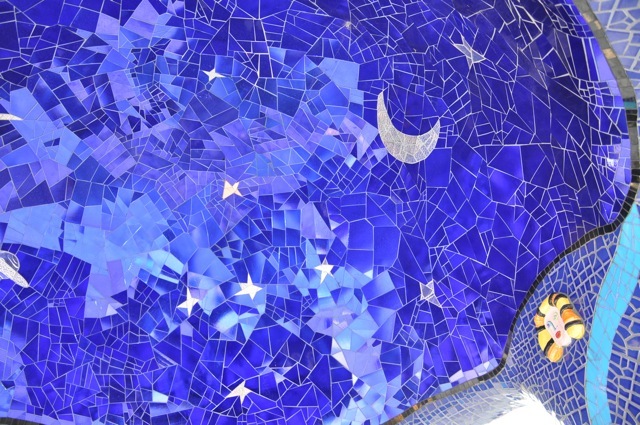 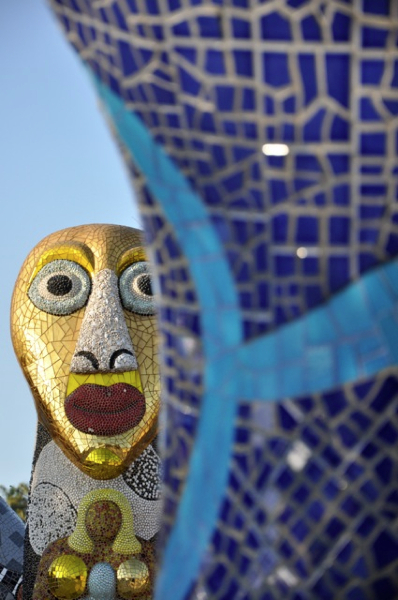 I am a HUGE Niki de Saint Phalle fan,and my love of her work goes all the way back to the days,as a culturally voracious art student living in Paris,and seeing the fountain sculpture outside the Centre Pompidou. 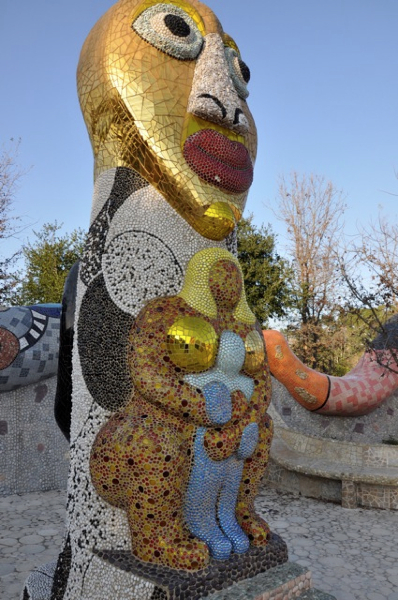 Over the years I discovered more of her work and made plans to set out on a pilgrimage to her Tarot Sculpture garden in Tuscany. 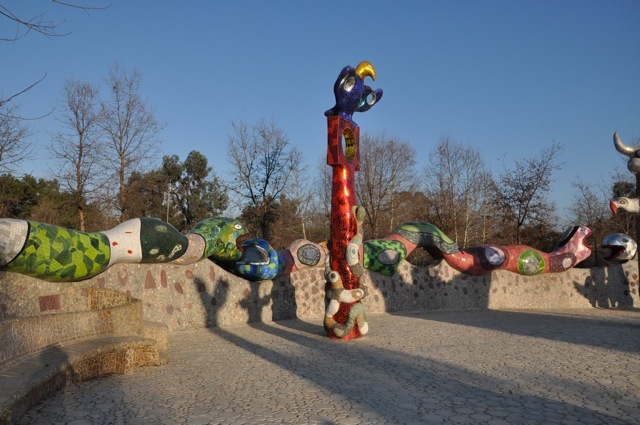 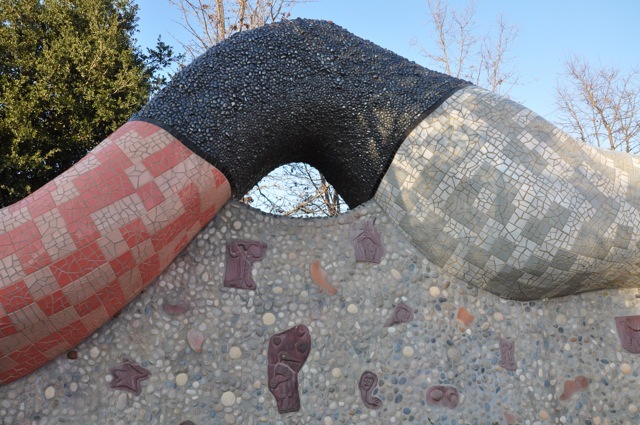 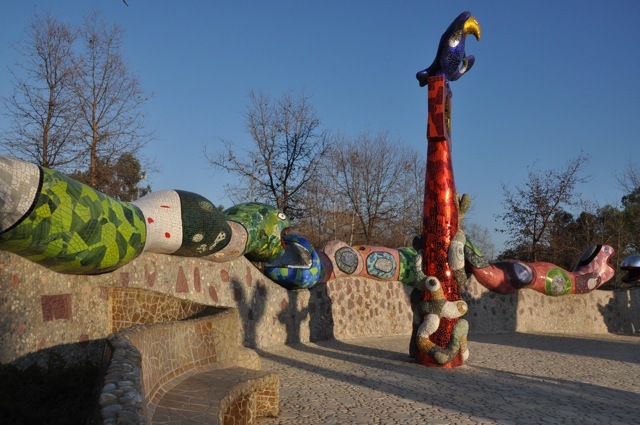 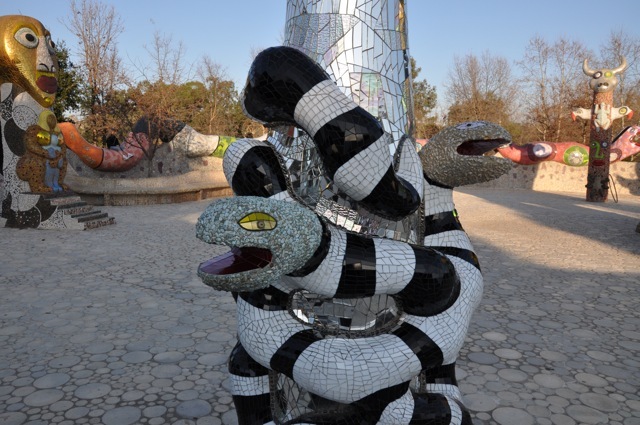 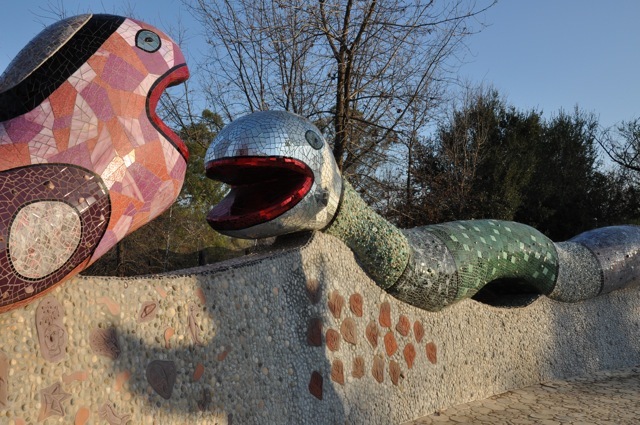 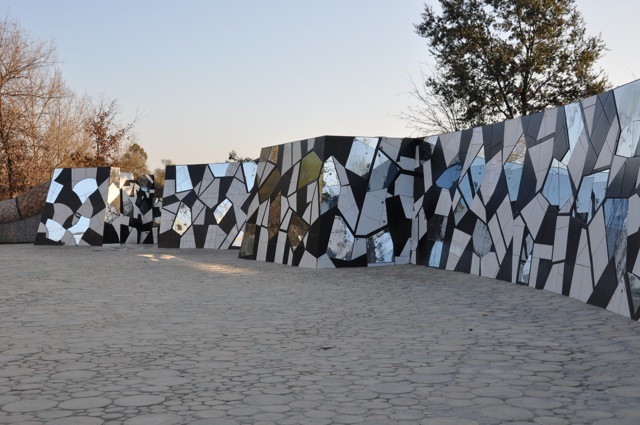 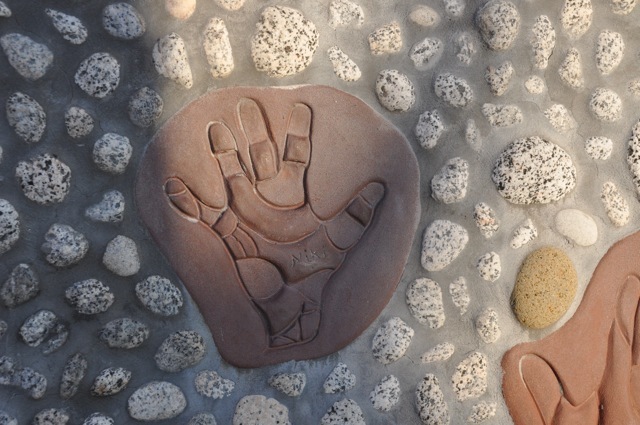 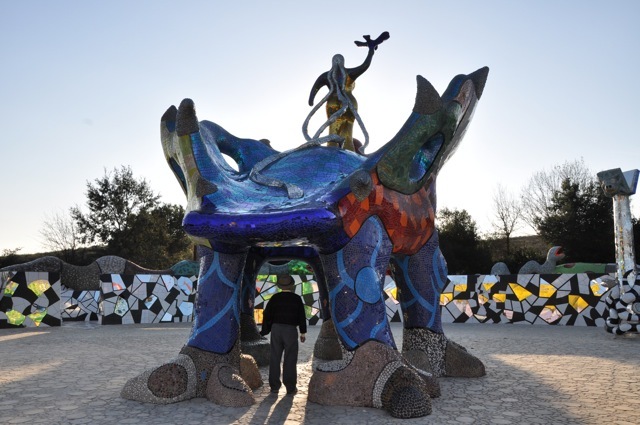 I haven’t made it there yet,so was sublimely surprised to discover a magnificent garden de Saint Phalle created in Escondido,California,not far from San Diego. 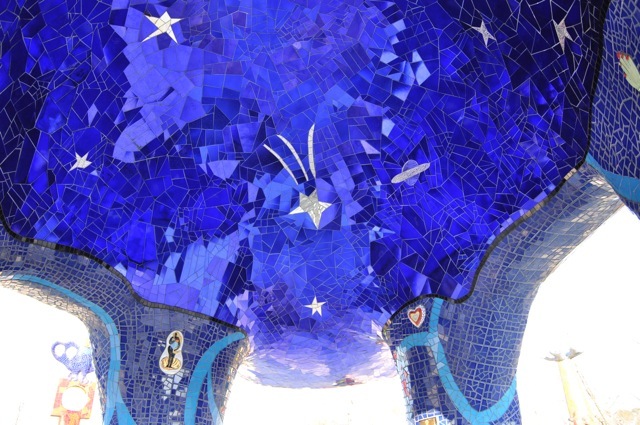 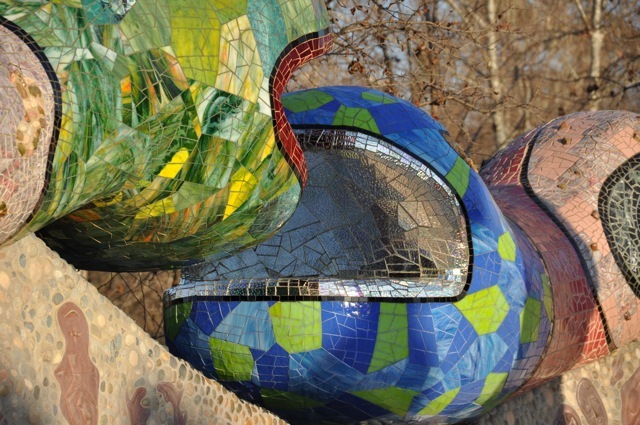 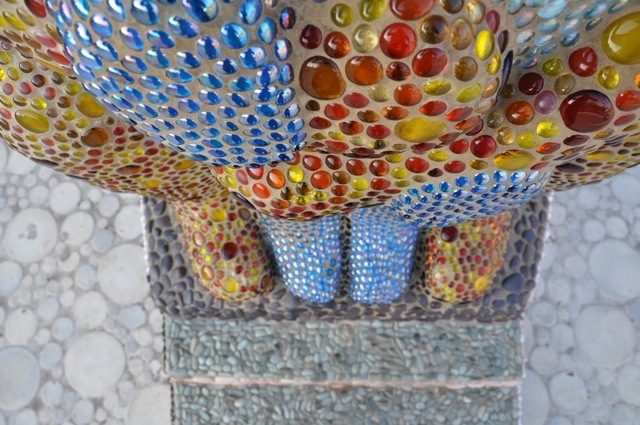 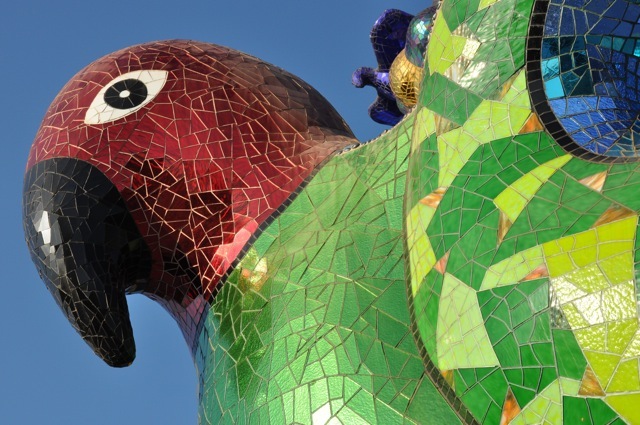 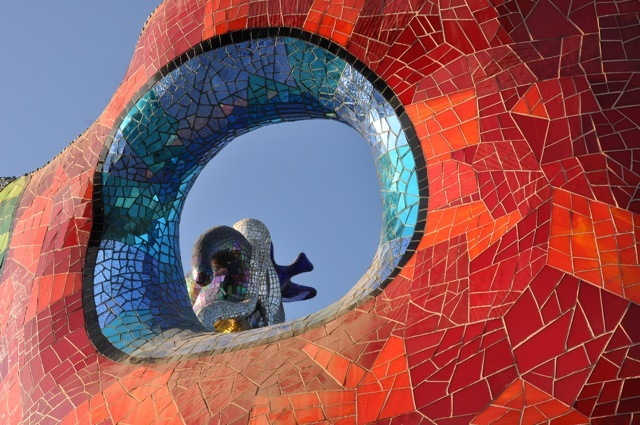 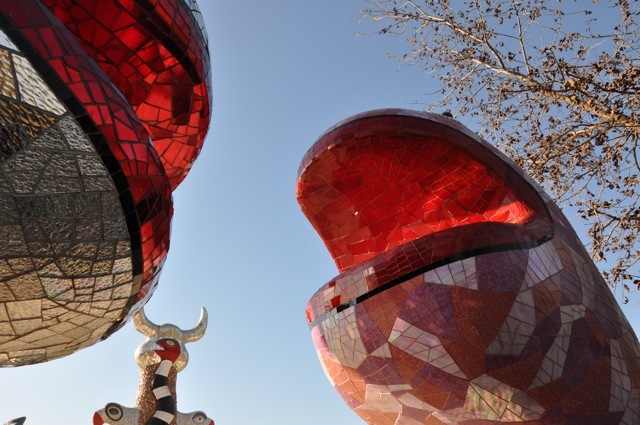 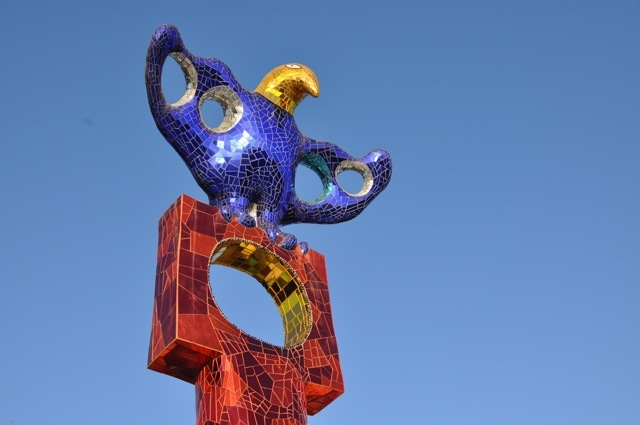 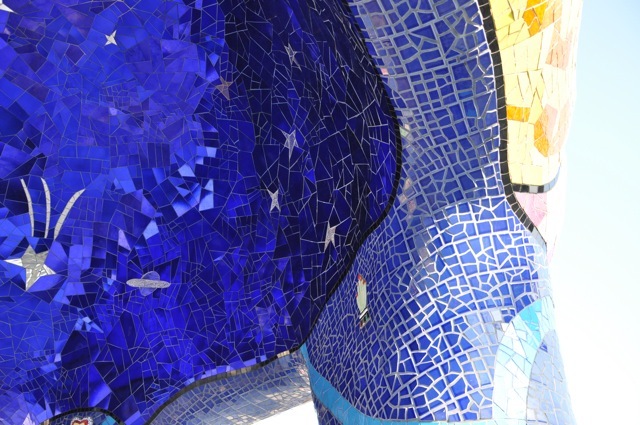 de Saint Phalle lived the last ten years of her life in Sand Diego,and gave to the city and surrounding area,some of her most magnificent work. 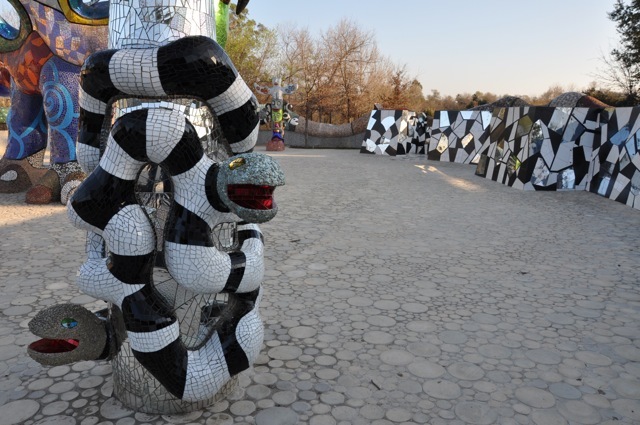 I spent the better part of an afternoon in early March at Queen Califa’s Magical Circle,much of the time having the place entirely to myself. 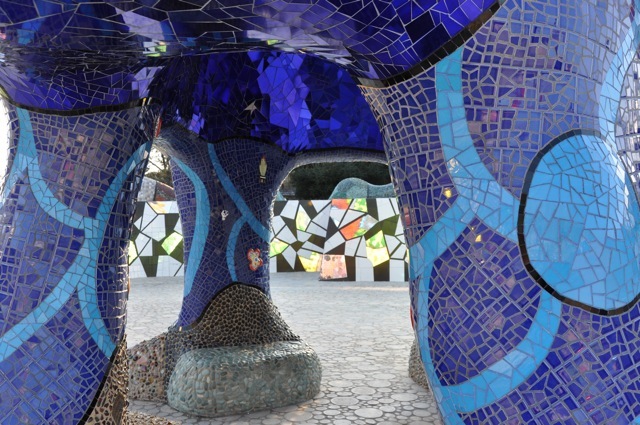 The light was beautiful,the shadows long,and the magic palpable.